Amanda Liu, the co-founder of Taiwan Startup Stadium, begins our interview with a quote from the Analects of Confucius. It reflects the prominent philanthropist’s philosophical outlook on life and her willingness to experiment with new experiences. This outlook has led her to be praised as a “fearless figure” by Terry Gou, founder of Foxconn, the world's largest contract electronics manufacturer. Liu, who is also CEO of Foxconn-backed Yongling Education Charity Foundation, majored in philosophy during her college years. This had a deep influence on her, she says. “I always ask questions and feel curious about everything, which indeed sparks many possibilities. After graduating from college, I’ve been working at different companies. I have a strong belief that I should give value to life. During her previous work as a TV journalist, public relations executive and co-founder of other businesses, Liu gained professional experience, including communication skills acquired during her days in public relations. “I was working as a PR (executive) at Ogilvy for five years, the well-known advertising and branding agency,” she says. “The five-year experience taught me to communicate well with my then-customers. I had to deal with various customers’ issues relating to branding and public relations every single day. “I felt extremely stressed at that time. However, I learned a lot through these experiences.” Liu says. Through this process, Liu says, she learned to understand people’s feelings and this helped her gain an insight into her future career path along with potential projects that she wanted to undertake. 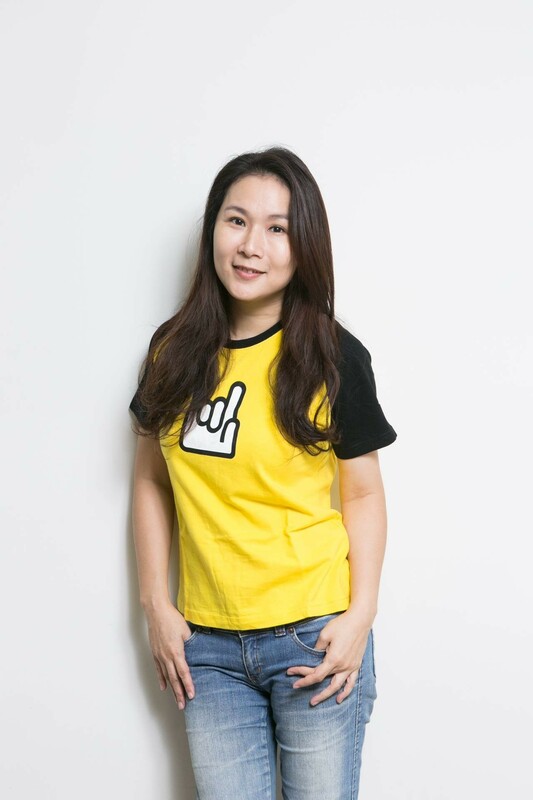 Caption: Amanda Liu has the remarkable career as she is the CEO of Yonglin Education Charity Foundation and Co-Founder of Taiwan Startup Stadium to boost Taiwan startup ecosystem. Almost four years ago, Gou appointed Liu as CEO of Yonglin Education Charity Foundation, which he founded in 2000. The purpose of this private foundation is to better the environment in Taiwan. It focuses on social issues including health care and education. Foxconn’s founder first established eco-friendly Yonglin Farm near the southern port city of Kaohsiung ten years ago to help restore flood-stricken areas and assist disaster victims learn how to grow vegetables and the like. The Taiwanese tycoon over the years invested more than US$32.3 million (NT$1 billion) in the project but it was not an easy job to improve the farm so that it could begin paying for itself. A main reason why Gou selected Liu to be CEO of Yonglin Education Charity Foundation was his belief that she would be able to turn the operations of the farm around. With Liu, Gou believed, mission impossible could be transformed into mission completed. “My first suggestion was to lay off some employees since personnel costs were the biggest reason for the (farm’s) high expenses,” Liu says. “But Gou rejected this request. Therefore I looked for other solutions to reduce costs. We needed to fully face the core problem to know how to solve it,” Liu told Business Next. The new strategy Liu finally implemented involved projects such as controlling the output of vegetables. “Anita Huang, the founder of Taiwan Startup Stadium, invited me to be a co-founder,” Liu says. “The aim was to help our excellent and innovative Taiwanese startups have more channels to connect with global resources, including markets, accelerator programs, mentors and investors. “As I mentioned earlier, I am a person who always think about my life’s value and how to bring the impact of this to others. So I decided to do this project with Anita and other partners,” Liu says. As a key figure involved with Taiwan Startup Stadium, Liu shared her views on Taiwan’s startup ecosystem. “(Taiwan’s) startup ecosystem has been bubbling from 2013 until now,” she says. “Back in 2013,there were not so many resources for startups to use, not to mention accelerators and incubators. But now, we are in the modern era full of new technologies, which is breeding tens of thousands of emerging startups,” Liu says. “Taiwan Startup Stadium also teams up with the government to encourage Taiwanese startups to get out of their comfort zones and explore more possibilities overseas,” Liu says. Liu says the attitude of the Taiwanese government had changed from indifference to supportive, with new startup-friendly policies, a government-backed accelerator and the provision of new workspaces. When it comes to being an entrepreneur, Liu says there are no specific rules or instructions. “Entrepreneurs have to figure out how to find their own new business models and to expand their businesses outside of Taiwan as our startup ecosystem needs global connections,” Liu says. In conclusion, Liu offers heartfelt suggestions to young entrepreneurs. “You have to find a strong reason to make (your business) a priority in life, which is rooted in your heat and pushes you to work so that your goals are fulfilled,” Liu says. This applies to every entrepreneur, Liu adds. “Once you find a strong reason, then keeping it in mind is vital. Liu cautions entrepreneurs to never change their strong beliefs in their businesses and their personal reasons why they think they will eventually be a success. “If you change them because people disapprove of your ideas, your idea will lose its uniqueness,” she concludes.